Oleg Tischenkov has been drawing cartoons about a man and a cat for several years. And finally, we’ve brought all the drafts together to publish them in a separate thick volume. 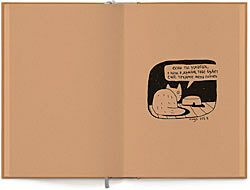 In addition to the drawn stories from the life of a man and a cat, the third edition includes monostrips that consist of just one picture.